Baby it’s cold outside – so here’s the perfect excuse to snuggle up and grip on to the one you love. Get close to the one you love with this special Valentine’s Day offer. 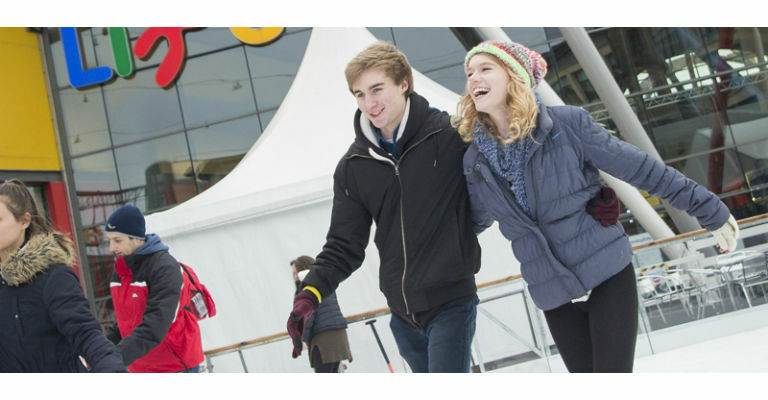 Skating for two, plus a hot chocolate each for just £10.00. Make a day of it by visiting our Science Centre while you’re here (separate prices apply) – experience the 4D Motion Ride* showing Ice Age: Dawn of the Dinosaurs, our amazing planetarium, live theatre shows and a range of exciting hands-on exhibitions. *For safety reasons, you must be at least 1.2 metres in height to use the 4D Motion Ride.